For a third year in a row, Iraqi authorities have resorted to shutting down the Internet to prevent students from cheating on exams. Network monitoring group Dyn Research has documented four outages between 1 and 6 February. These disruptions begin around 8:30 local time and last for an hour. The one-hour outages, intended to prevent students from cheating on 6th grade placement exams, are expected to last for a week, according to local media quoting the Iraqi ministry of telecommunication. Internet outages and disruptions to prevent exam cheating have now become common in Iraq. 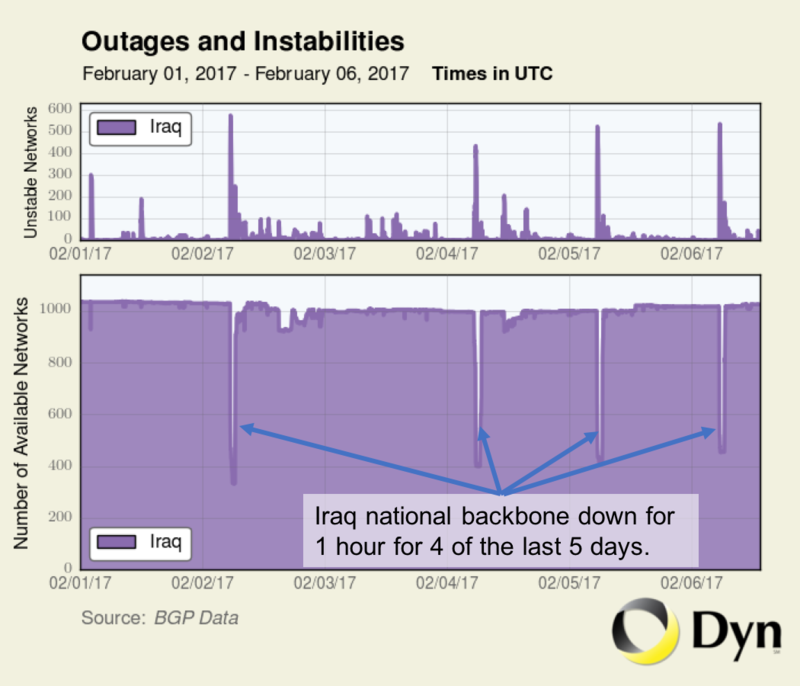 Last year, the Iraqi government shut down the national fiber optic backbone ten times in May, in outages that lasted three hours each morning. In August and again in October, the government resorted to the same tactic to ban students from cheating during make-up exams. Similar blackouts were documented in the summer of 2015. In Iraq's public education system, the stakes are high during national exams, which often play a decisive role in the future of Iraqi youth. The resolution came as global internet outages continued in 2016, with Access Now documenting 56 shutdowns. Across the Arab region, in addition to Iraq, disruptions were also recorded in Algeria, Bahrain, Egypt, Libya, Sudan, Syria and Yemen. Last summer, the Algerian government disabled mobile Internet to prevent cheating and the leaking of Baccalaureate exams. The move prevented more than 15 million users from accessing mobile Internet, but did not stop the leaking of exams on social media, forcing the Ministry of Education to organize retakes for the leaked exams. On the other hand, in the Bahraini protest village of Duraz, ISPs were “deliberately disrupting” fixed-line and mobile data services, harming businesses in the process and costing the country more than 1.2 billions US dollars of its GDP in the span of eight days, according to a Brookings study. 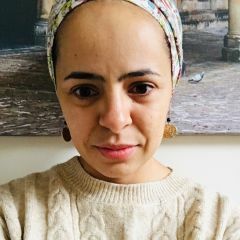 The Algeria and Bahrain cases show how Internet shutdowns are not only futile, but also harmful. “They harm everyone” and “they don’t help victims or restore order,” as Access Now notes. But it appears the Iraqi government and other governments responsible for internet outages and disruptions have yet to recognize this reality.